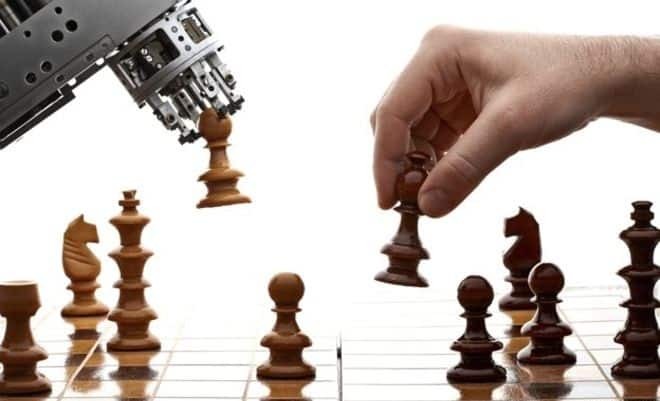 AlphaZero, the game-playing AI created by Google-owned DeepMind, has beaten the world’s previous best chess-playing computer program, after learning the game from scratch in just four hours. Google’s AI subsidiary, DeepMind has a history of creating computer systems that can defeat world champions at their own game. Back in 2016, they built an AI dubbed ‘AlphaGo’ that was able to defeat the world’s top human players of the Chinese board game ‘Go.’ Since then, they have set their sights on chess and this week they pulled off this remarkable feat. In 100 games played against rival computer program ‘Stockfish 8’ (which previously won 2016’s Top Chess Engine Championship), Google’s ‘superhuman’ AlphaZero AI won 28 and drew the rest. What’s interesting is that it took just four hours to learn the rules of chess. What’s remarkable here is that AlphaZero was given only the rules of the game and no further human input. It then used a technique called self-reinforced knowledge, in which it becomes its own teacher, to actually learn the details of the game. And this is what the main difference between AlphaZero and its competitors. After two hours of self-training, the AlphaZero AI was also able to beat an AI program called Elmo in the Japanese board game called ‘Shogi.’ And with eight-hours of self-training, it was able to beat an earlier version of itself at the ancient Chinese game of Go. The results of the achievement were published in a report by researchers from Google’s DeepMind in London this week. You can read the entire report on AlphaZero’s prowess in chess and other games here. Why Online Software Reviews Matters More Than You Think?